Both the Chisum and Prairiland volleyball teams will be playing in the North Hopkins tournament this weekend. Pool play begins today in the tournament. Don’t forget about the Pittsburg Pirate Tailgate Party activities will start at 5:00 this afternoon. There will be a TON of booths with FREE items! All kinds of food and MANY free Pirate items. They will announce the Pittsburg Pirate Football team, Varsity, JV, and Jr. High cheerleaders, High School and Jr. High Majorettes, Spirit Corps Members, Volleyball teams, Cross Country teams and the coaching staff. That’s at Fair Park in Pittsburg. STAR 969 will be there broadcasting live. You are invited to bring your lawn chairs. 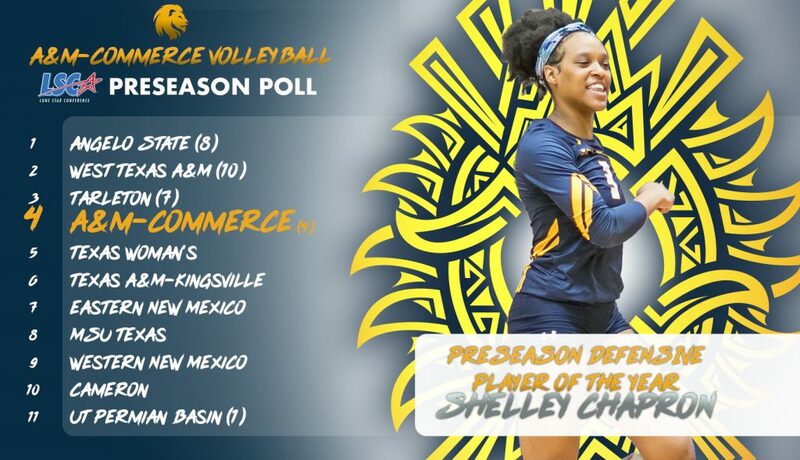 The Texas A&M University-Commerce volleyball team is predicted to finish in fourth place in the Lone Star Conference this year, while junior middle blocker Shelley Chapron was named the Preseason Defensive Player of the Year. As the Cowboys prepare for their second preseason game against Cincinnati, Mike Fisher reporter that Center Travis Frederick missed work Wednesday to see doctors in LA due to a shoulder problem. Dallas and Cincinnati will play Saturday at 6:00 pm. The Los Angeles Angels could be without center fielder Mike Trout for their series that begins Thursday against the Rangers. Trout has been on the disabled list since Aug. 2 because of a right wrist contusion. He left the club Tuesday because of the death of his brother-in-law. Game one of that series is tonight on 1490AM and 96.3FM KPLT. Pregame is at 6:30. First pitch at 7:05. J.J Watt didn’t leave much wiggle room surrounding his availability for the regular-season opener on Sept. 9. The Houston Texans’ star defensive end made it clear he expects to be on the field when the Houston Texans travel to Gillette Stadium to play the New England Patriots in Week 1. “Oh, yeah,” Watt told reporters Tuesday, “I mean, there’s no doubt.” Watt returns from a broken leg that caused him to miss 11 games in 2017, and he also dealt with a back injury in 2016 that limited him to just three games. Over the past two seasons, he has played in just eight games. The NBA is welcoming franchises owned by the Atlanta Hawks, Brooklyn Nets, Los Angeles Lakers and Minnesota Timberwolves to its NBA 2K League ahead of its second season. The four franchises will join the 17 NBA teams that participated in the inaugural NBA 2K League season, which began in May and will conclude with its first finals event on Aug. 25 in New York. The expansion price for the second season is the same as the first: $750,000 for three years of participation, according to sources.